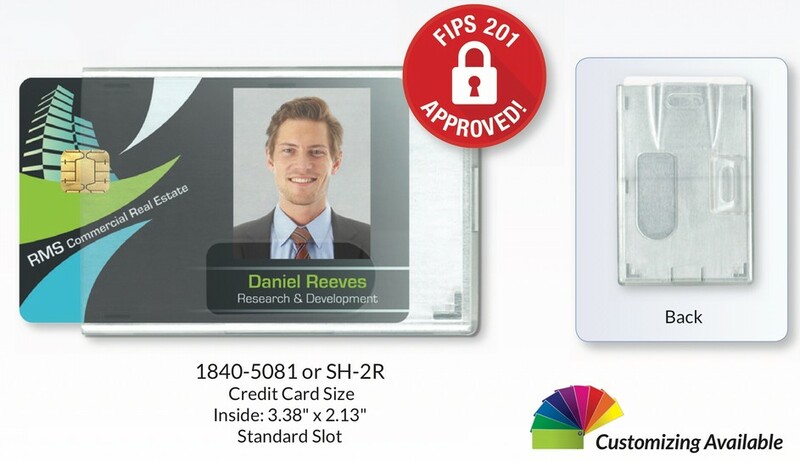 2-Card Polycarbonate holder protects 13.56 MHz RFID technology smart cards including MIFARE, iClass, PIV, CAC, TWIC and FRAC cards. Thumb notches for easy card removal. Meets BAA (Buy America) and TAA (Trade Agreement) Acts. Slot Pull Strength: 89 lb.